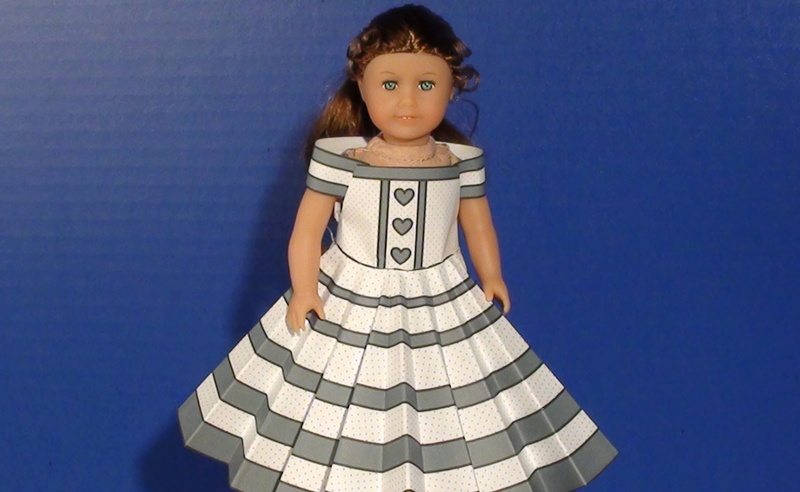 The new Beforever American Girl mini dolls no longer have a cloth body. They now fit my clothes much better and the dresses do not need significant alterations to make them fit. 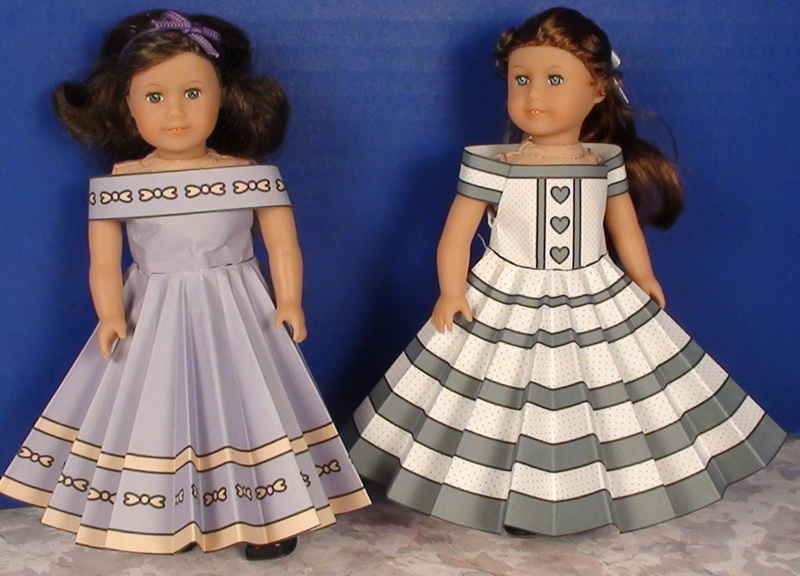 Rebecca is wearing the purple dress from the free dresses section with top, circle skirt, and shoulder straps. Caroline , on the right, is wearing a top, straight skirt, and wrap around collar from the Laura set. 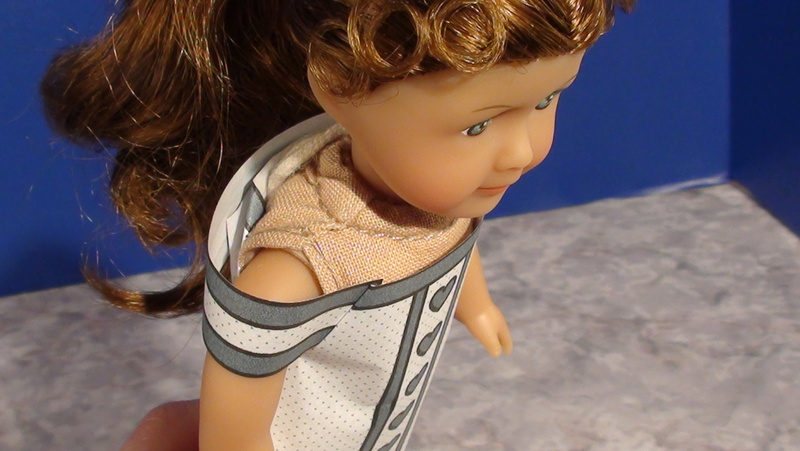 If you want a higher neckline for your doll’s dress you can use the old method below to make it. 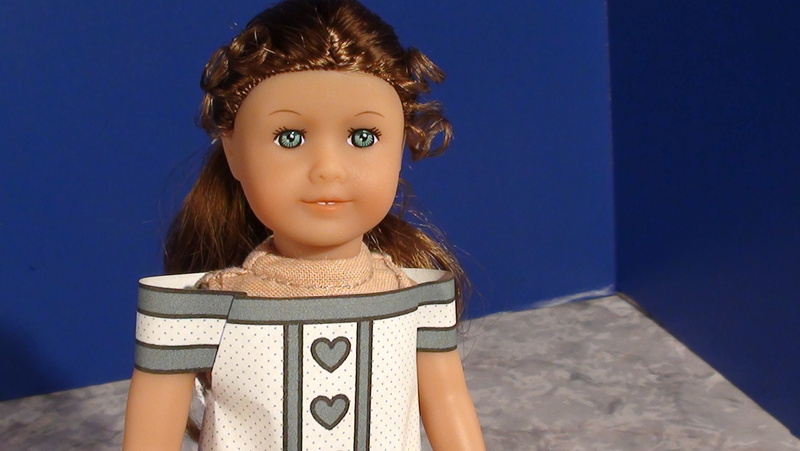 The previous version of the Mini American Girl Dolls need special alterations to make the top fit. Start by wrapping the top around the doll. 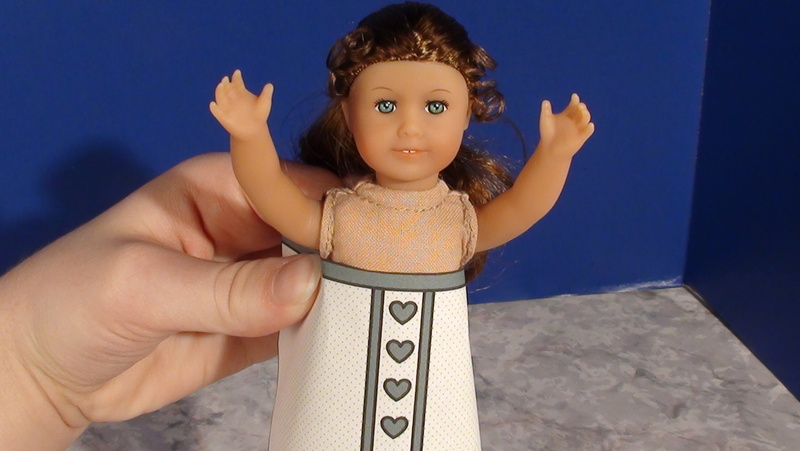 Underneath each of her arms, cut or tear a little bit down to make room for her arms. Fold the edges back onto the inner side that won’t be seen. Try to get the empty spaces just the right size to fit around her arms. You can now add sleeves or collars. 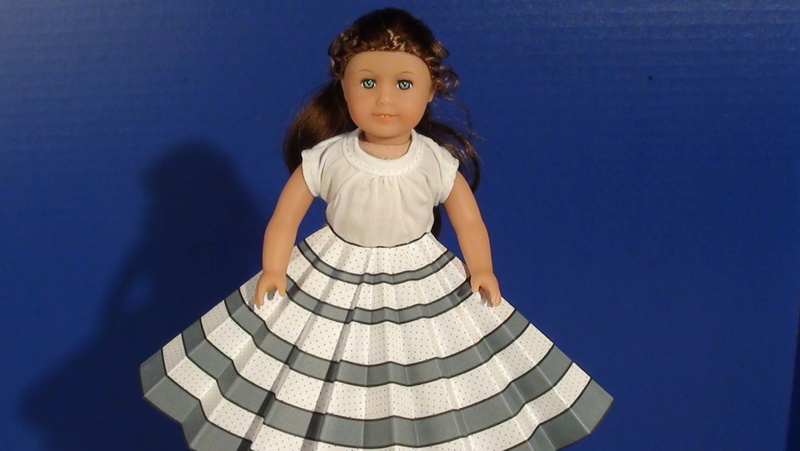 and a circle skirt. For this top design, I took my wrap around collar idea and reversed it by tucking the ends of the belt piece into the front of the dress. This doesn’t stay in place very well as it is not taped but it looks really cute on display. If you have a top you like already, you can just add a circle skirt on top of it. The circle skirt doesn’t completely overlap at the waist but I just leave a slight gap and tape where it begins to overlap.